The 7-2 favorite for Thursday's Ramsey Farm Stakes at Kentucky Downs in Franklin, Ky., is the 5-year-old mare Mom's On Strike, winner of Keeneland's Grade 3 Bewitch Stakes at 1 1/2 miles and subsequently a good fourth in Belmont's Grade 2 New York after being very far back and second in Saratoga's off-the-turf $200,000 Waya. The 1 3/8-mile Breeders' Cup Filly & Mare is Nov. 3 at Churchill Downs, a course over which Mom's On Strike had a win and a second last fall before bursting on the stakes scene in New Orleans. 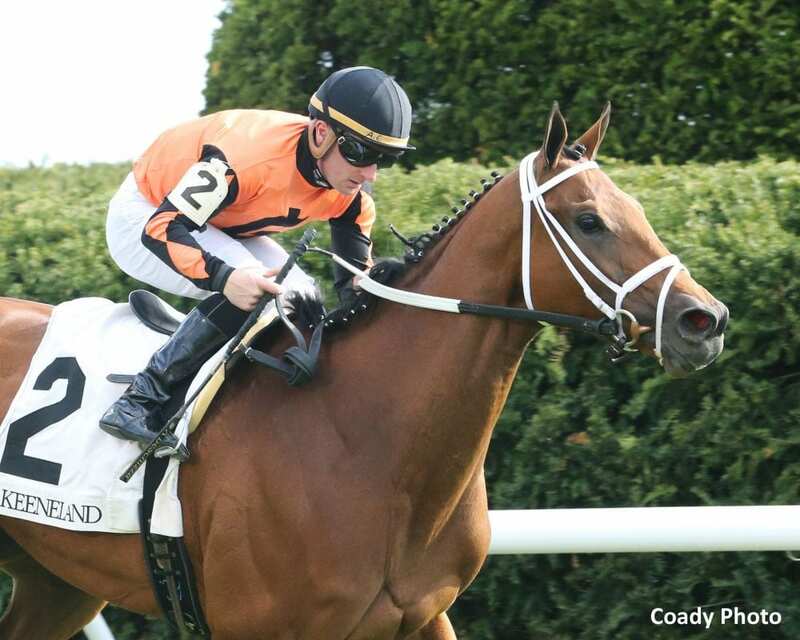 Mom's On Strike, as a Florida-bred, runs for the $200,000 base purse, with the other $200,000 available for Kentucky-breds through the Kentucky Thoroughbred Development Funds. Mom's On Strike is owned by Carl Moore and Brad Grady, and how they got her is a strange story. Mom's On Strike's original owners sent her to Sharp as a 2-year-old without advance notice. The massive Mom's On Strike showed enough as a 3-year-old, including finishing second in a stakes at Belmont in her turf debut, to keep Sharp going with her. Then the bankruptcy hit. She went six months without training — and more than 13 months without Sharp being paid — until the mess could be sorted out. “The New York stewards were really great and stood behind me,” he said. “She just hand-walked all winter, because I figured if I trained her and they saw works, they'd never pay me. Since being sold, Mom's On Strike has five wins, four seconds and two fourths, with three stakes victories, in 12 starts. This entry was posted in Racing and tagged brad grady, breeders' cup filly & mare turf, carl moore, Joe Sharp, kentucky downs, mom's on strike, ramsey farm stakes by Jennie Rees. Bookmark the permalink.